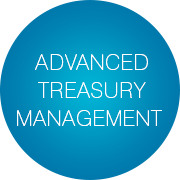 Treasury management (TM) system is a software program that manages enterprises cash, holdings, and the working capital, with the main goal to maintain the firm’s liquidity and regulate its financial, operational and reputational risk. In today’s fast pace of change in regulatory and compliance technologies in the financial sector, treasury management becomes a significant aspect that improves the operating branches of the company. Evolving business practices and the rise of international markets with fast-changing dynamics. TM is a complex system that includes cash and funding control, as well as financial risk management. With modern technological advancement, banking and finance enterprises have the chance to adopt high-end fintech treasury management solutions that will optimize and improve each division of TM. Emerging financial technologies are changing the methods of cooperation between customers, employees, and entrepreneurs. RPA and AI are able to complete day-to-day monotonous tasks allowing financial officers to focus on prioritized duties. TM systems are now being implemented on cloud-based platforms either as SaaS applications or on private clouds. 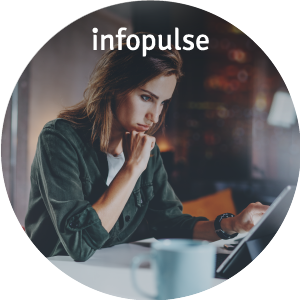 The reason is that financial enterprises prefer outsourcing IT infrastructure and security management to professional vendors because it is more cost-efficient than installing in-house systems. Another game-changing technology that can be used in treasury management is blockchain. With its help, financial officers can exclude float from different types of financial transactions, significantly decrease the settlement processing and eradicate booking errors. The emerging technologies can improve capital management, control any types of investments and cash flows, analyze treasury data and find trends for better asset management. In the contemporary financial environment, it is crucial to understand how the latter technologies operate and in what ways exactly they improve TM. Let us further examine the advantages of implementing AI, cloud solutions, and the distributed ledger into TM systems. In the nearest future, RPA and AI will be an integral part of treasury management systems. Smart treasury with comprised artificial intelligence will be able to improve itself from previously assembled data, like customer behavioral patterns, and as a result distinguish good or bad credits, mark out the late payers and identify fraudulent activities. Most importantly, AI in financial services may be used as a powerful forecasting tool. Precise forecasting requires an evaluation of external and internal variables, which includes previously recorded real-time data. Even a large team of skilled specialists will not achieve the results that AI is capable to deliver. AI-based treasury software analyzes global information sources to identify economic risks, as well as assembles and processes internal financial data and combines the results to produce precise financial forecasts in very short terms. The AI forecasting feature is often used by modern smart hedge funds. The majority of financial systems, driven and managed by a team of data scientists are static. In terms of mathematics, this means that conventional static systems are memoryless. However, AI is a dynamic system that has a memory, and its improvement is in direct ratio with the amount of data it analyzes. 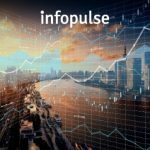 Complex AI systems that are used by smart hedge funds process large amounts of data and are able to predict changes within the market and reduce the rate of human mistakes, which is beneficial for the financial risk management. Robotic process automation in TM can improve document processing, invoicing, and the approval of financial transactions, identify the least-cost ways of fee payment and automate compliance. “Smart payments” refer to the automated processing of different payment forms that are paper-based at the moment. RPA-based smart payments improve the speed and effectiveness of disbursements that require a higher-level authority review before remittance. RPA can replace human labor in monotonous paperwork tasks, which can lead to a significant cost decrease for enterprises. Moreover, robotized tasks can be done at times when the company is consuming fewer resources (e.g., at night or weekend), which can contribute to the optimization of financial processes. RPA is able to decrease the time spent on monotonous duties, thus helping the treasury staff to refocus on better decision-making and paying more attention to the firm’s risk management. The most notable companies that implement RPA in their business practices are , Deloitte, Nordea Bank, Union Bank, and . Cloud-based treasury management solutions are also known as System as a Service (SaaS) based treasury management. There are three types of clouds in SaaS – public clouds, hybrid clouds, and private clouds, and the first two types are usually used in terms of treasury management. Public clouds are designed to be financially profitable and extensible. Hybrid clouds focus on security and have higher implementation standards. With SaaS treasury management there is no need to buy servers, perform security checks, and make constant upgrade cycles. You can access the TM system at any time convenient for you. Most importantly, the system is regularly upgraded and kept in compliance with the latest financial regulatory changes. The SaaS treasury management made it easier to leverage common public data to benefit the users. This includes market data that is sourced and published via SaaS providers. Foreign exchange and interest rates are used in the treasury system to transfer cash amounts to functional currency, evaluating foreign exchange transactions, and conduct stress tests. The time you spend checking and publishing market data could be spared, which would result in months of annual savings for the company. is a commercial administration software that is able to cover any kind of financial operations, including treasury management. It is a universal financial system that offers precise forecasts and helps financial officers to govern the company’s liquidity and cash flows. Another key feature is the fund administration tool, which allows the SAP treasury management teams to control global cash positions. It improves the enterprise’s efficiency by filtering out excessive and second-rate information. is a TM SaaS app that is designed for productive handling of cash flows. It can be either integrated with the existing accounting system or work independently. ABM Cashflow’s capabilities include effective budget control protection through its range of requests for payments and other sophisticated functions. Because it is a SaaS system, no purchases or installations are needed, so you pay only for what you actually use. By using the Microsoft Azure Cloud, offers a range of cross-functional TM solutions that are perfectly designed to manage corporate treasuries of any scope. Both products can be used as a SaaS solution or as a component of a separate cloud-based system – and both are very flexible in their functionality. Most importantly, it allows users to track treasury functions from anywhere 24/7. It features a convenient Windows desktop interface and a remote application that is available on iOS, Android, and Windows devices. Another emerging technology that can benefit corporate treasury is blockchain. The area where blockchain treasury systems may be useful is international payments. Today international payments are opaque, stagnant and hard to trace. A usual transaction crosses numerous ledgers before it finally reaches the receiver. Common intermediaries involved in the process are banks or other financial institutions that place additional charges and have a time-consuming payroll cycle. Blockchain-based global payment network has the potential to resolve the above-mentioned financial issues. , a cryptocurrency platform for payment systems, has recently introduced a financial network that functions on the basis of a distributed ledger that provides valid-time clearing and settlement of payments. Most importantly, Ripple’s payment network (RippleNet) claims to create better transparency in the fees, settlement timing, and tracking. Intermediary institutions, like banks, provide payment and credit services in the sphere of trade finance. The letter of credit is the most popular example, which is still widely used today. Yet, in terms of using letters of credit, certain financial inefficiencies remain. There are multiple participants involved, and usually, there is a lot of time-consuming paperwork between these participants. Blockchain-based smart contracts in finance can enhance the efficiency of the whole process and make it more swift and convenient. Blockchain technologies may be relevant in other financial fields. Smart contracts can determine and facilitate the negotiation and performance of a certain financial deal. The participant could add a specific requirement that the payment should only be conducted once the goods have been received and documented online. Smart contracts can also track the transport of the goods, ultimately helping end consumers view and evaluate the supplier. Blockchain treasury management systems provide better transparency and predictability in the payment of goods, which leads to precise cashflow forecasting. Furthermore, blockchain can reduce unnecessary paperwork and make international payments more convenient, and by using smart contracts, entrepreneurs can enhance the work of their supply chain management. Due to modern sophisticated technologies, the current state of financial development comes along with new challenges. The first challenge is a major tendency towards decentralization, which disrupts the influence of financial mediators. Decentralization of conventional financial institutions does not necessarily mean democratization and improved equality. It may conceal certain risks to the industry segmentation and cause certain regulatory issues, which will be hard to overcome. Fintech seems to be complicated for the majority of entrepreneurs. Although the overwhelming majority of fintech software appears to be simple and standardized, in fact, the technologies are advanced and comprehensive, because they are fusing the traits of both finance and technology. Currently, many financial enterprise owners are still in doubt whether it will be profitable or not to leverage AI or blockchain specifically to their business branch. AI, big data and cloud technologies are now very popular, but their adoption is risky to a certain extent. For example – what if the developed AI brings difficulties to financial operations, which side should take responsibility: the investor, the entrepreneur or the IT specialist? Furthermore, data security could be jeopardized by the leakage of sensitive financial data. Fintech in treasury management must be treated with vigilance – it has the ability to initiate remarkable improvements in convenience and cost-savings, but could also endanger consumer rights. Today RPA and AI solutions can help to analyze immense capacities of information and undertake repetitive tasks to spare time for the treasury workers. SaaS solutions grant instant full-time access to data, as well as perform crucial financial management tasks. Another notable TM technology is blockchain, which creates transaction transparency, eradicates excessive paperwork and facilitates the work of supply chain management with the use of smart contracts. Regardless of certain challenges that include the adoption process and regulatory issues, the above-mentioned fintech will soon become an integral structural part of most treasury management systems. Contact us now to upgrade your treasury management system and make it more effective and profitable with the use of emerging technologies.